What a cute and fun I heart horses ring! This ring is extremely sturdy and will be able to withstand a lot of wear and tear. 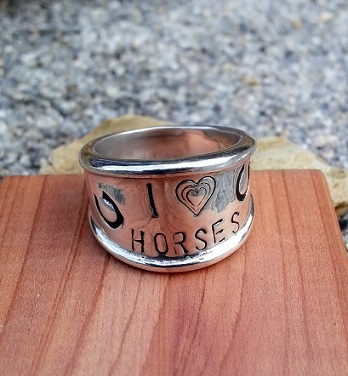 Express how you feel about your horse with this great ring. This ring and all others are available in 14kt white gold, and 14kt yellow gold.